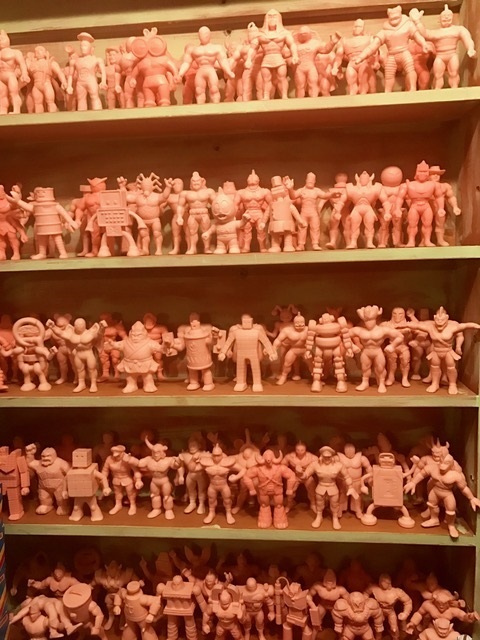 This week the discussion is around a favorite piece of my collection – the Deka Kinkeshi set. 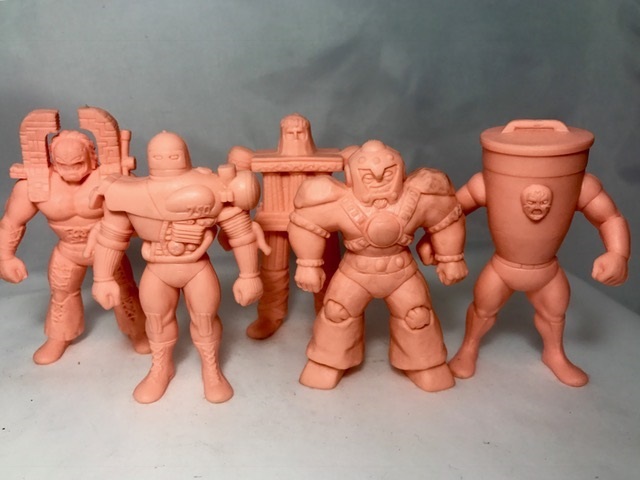 I first discovered these back in 2012 when doing a Google search for figures similar to my M.U.S.C.L.E. flesh figures. I was quite excited and these figures introduced me to the world of Japanese Kinnikuman figures and I haven’t looked back. The figures are 3-4 inches tall and only come in flesh color. Though I found out over time that there are slightly different tones of flesh across the line, some figures are slightly pink as well. They are also more flexible than M.U.S.C.L.E. figures. But they are a magnificent collectible and not too difficult to locate as many seem to have made it into the USA from Japan. That being said though, I quickly found out all is not what it seems as unlike a M.U.S.C.L.E. flesh set in which all figures are easily obtainable, the Deka Kinkeshi set is not like that at all! 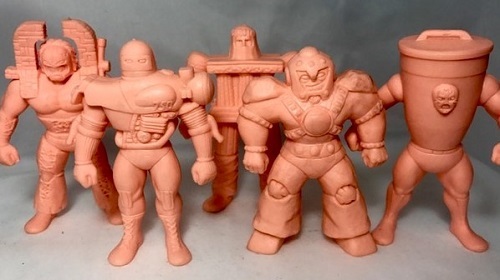 In fact, at the time I started collecting, there was only one completed set done amongst the M.U.S.C.L.E. community and not much photographic evidence of the figures that existed. My quest was not only to complete the set (which is 117 singular figures) but document a checklist for future collectors of the set. This checklist can be found here. About 90 of the 117 figures are quite easy to find – there are a handful that are more difficult to obtain and a chosen few pictured separately that are quite difficult to obtain. To fit 117 figures on one set of shelves wasn’t easy and I have multiple rows of figures on each of the display shelves. It’s the shelf that my non collecting friends notice almost immediately and ask, “Why do you have a bunch of skin color figures there? What on earth are they?” It looks weird to them. Funny enough, none of the other shelves of M.U.S.C.L.E. or other mini figures gets this reaction. I’m not entirely sure why but I love these Deka figures and wish there was more made in the set. I’ll just have to settle for 117 of them. This entry was posted on Monday, March 13th, 2017 and is filed under UofM News. You can follow any responses to this entry through RSS 2.0. You can skip to the end and leave a response. Pinging is currently not allowed.